Not one, not two, but 11 festivals are taking place in Edinburgh between now and the end of August. 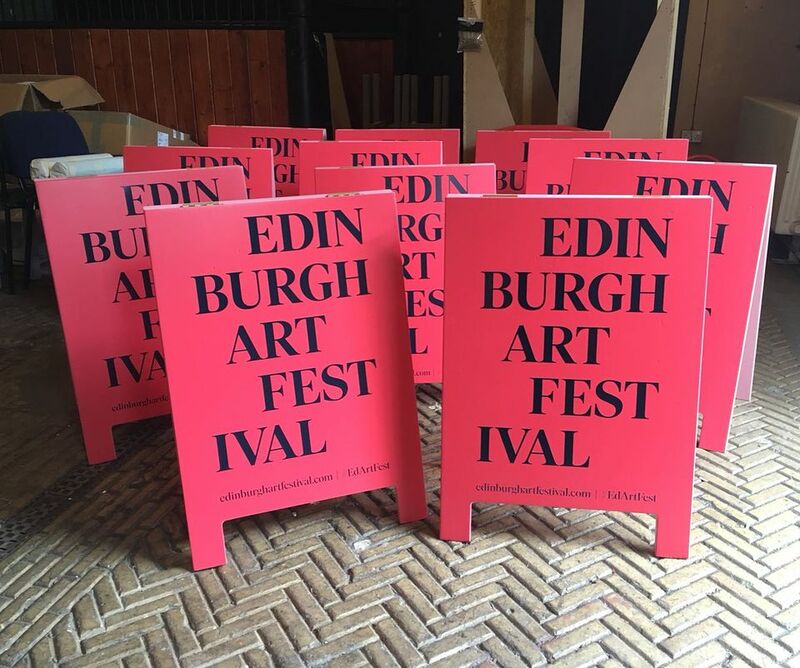 For art enthusiasts, the 15th edition of the Edinburgh Art Festival (EAF) opened yesterday (until 26 August). With over 36 exhibitions and close to 100 events, the festival includes a disparate, vast schedule of partner shows as well as a few commissioned projects, all dotted across Scotland's capital. Here is our pick of the festival. A forest of 100 microphones and 100 impaled papers fills the Edinburgh College of Art’s Engine House. 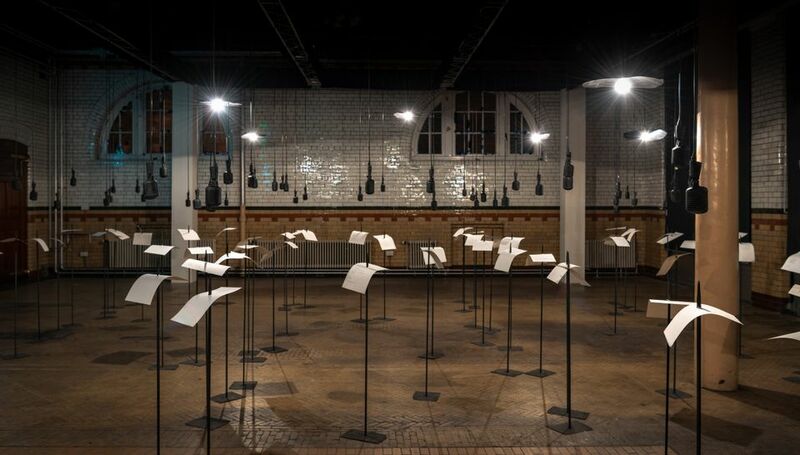 The microphones, suspended above fragments of poetry on the spears below, recite the words of poets who have been censored and silenced over the last century. For, in your tongue I cannot hide (2018) (until 26 August) by the Indian artist Shilpa Gupta refers to the continued vulnerability of freedom of expression today. Lasting over an hour, each microphone plays its verse and alternates between languages including English, Spanish, Arabic, Russian, Azeri and Hindi. The work, which is co-commissioned with YARAT Contemporary Art Space in Baku, is one of five commissions in the EAF programme this year, focussing on performance-based works that “reflect on urgent current political issues”. For the UK art world it appears to be the year of Tacita Dean—who has had three shows on simultaneously at three major venues in London. While her exhibitions at the National Gallery, National Portrait Gallery and the Royal Academy of Arts (until 12 August) tackled still life, portraiture, and landscape, Dean’s show at Edinburgh’s Fruitmarket Gallery looks at performance. Woman with a Red Hat (until 30 September) centres around the film Event for Stage (2015), which was commissioned for the Sydney Biennale in 2014 and is played in the gallery every hour. Described as “a performance about performance”, the video follows the actor Stephen Dillane playing out a script given to him, page by page, by Dean, who is sat in the front row of the audience. The exhibition also includes the longest version of Dean’s signature blackboard drawings, When first I raised the Tempest (2016), which has never been shown in the UK before. 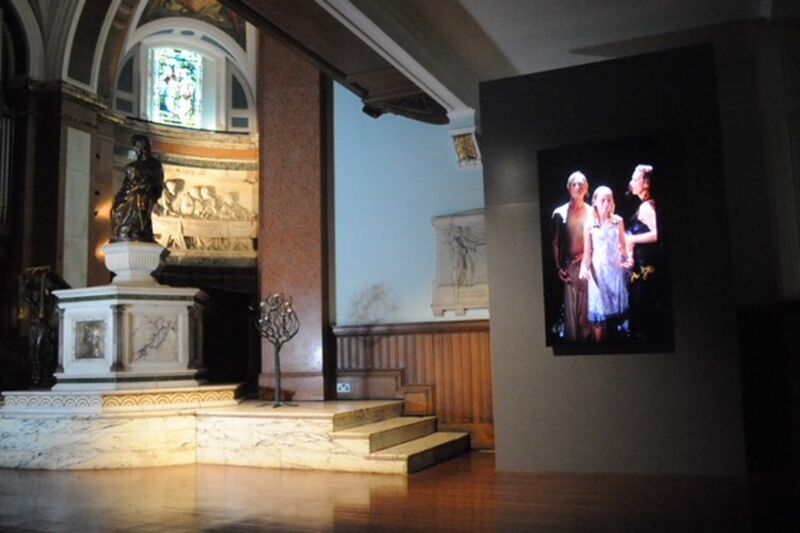 So strong is the sense of the spiritual in Bill Viola’s videos, it was recently announced that the US artist will have his works shown alongside those of the Old Master Michelangelo in a special exhibition at London’s Royal Academy of Arts next year. For the EAF, Viola’s poignant video contemplating mortality has been installed at the Parish Church of St Cuthbert (until 1 September). Three Women (2008) is part of the Transfigurations series, made by Viola with his wife and collaborator, Kira Perov. In the video, a mother and her two daughters slowly walk through a downward torrent of water and into the bright light on the other side. 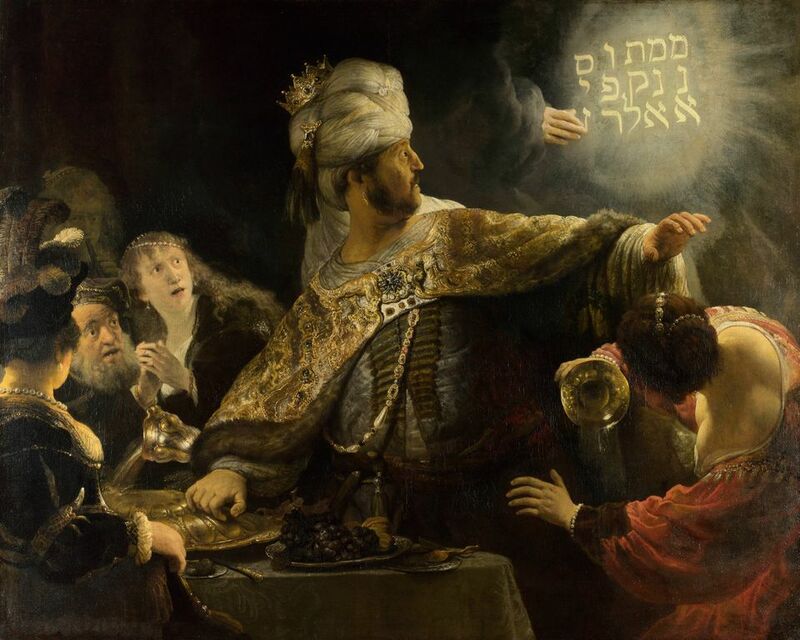 Rembrandt van Rijn's Belshazzar’s Feast (around 1635), on loan from the National Gallery, London. “The genius of Rembrandt is so universally admired, and his imagery so ubiquitous, that he has become a global brand like few other artists in history,” says a statement from the National Galleries of Scotland. “Yet no nation has demonstrated such a passionate, and sometimes eccentric, enthusiasm for Rembrandt’s (or indeed any artist’s) works.” The Scottish National Gallery's new exhibition Rembrandt: Britain’s Discovery of the Master (until 14 October) presents 15 oil paintings as well as prints and drawings by the Dutch master alongside works by the artists he has inspired. The show includes star works such as Belshazzar’s Feast (around 1636-38) from the National Gallery in London, Girl at a Window (1645) from London’s Dulwich Picture Gallery, as well as The Mill (1645/48) from the National Gallery in Washington, DC. They are accompanied by pieces spanning 400 years, from William Hogarth to Frank Auerbach. 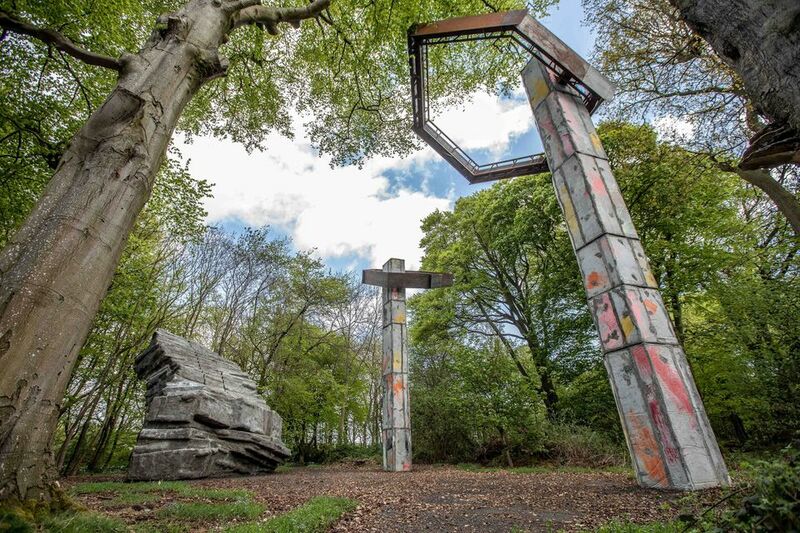 The sculpture park and gallery Jupiter Artland, just outside of Edinburgh, is celebrating its tenth anniversary this year and—as a birthday present—the founders Robert and Nicky Wilson have commissioned a permanent installation by Phyllida Barlow. The three-part work by Barlow, who represented the UK at the Venice Biennale last year, is hidden in the gallery’s woodland and includes two towering trunk-like forms designed to imitate the surrounding trees, as well as a large sculpture that looks like an old ruined flight of steps.